Adam Nash (aka Adam Ramona) just opened his first "solo retrospective" collection of selected Second Life Works dated 2007-2009. It’s a varied and random set of installations scattered high up on a flat suspended platform; his works comprising primarily of 2 main competent s, one being sound and the other movement – you see solid walls out colour, some more transparent, some moving, some not. These simple shapes hold an audio/ visual experience which draws you into a state of contemplation – I felt many times as if I was trying to unlock a puzzle of sorts. Adam’s work is engaging on a deep level, and its best experienced in person. Each installation has its own ‘personality’ if you will –and I found it to be truly captivating, and indeed before I had noticed, an hour or so had passed me by– I felt as if each individual experience pained a story in my mind and took me on a journey. As with all such moments in time, each of us with see it and feel it in our own way; and its meaning will of course vary to each of us – what is important here is that it evokes a response. Few Artists transcend, Adam is one of those, and he takes this creative platform of Second Life beyond the screen in front of you. Please go and see Adam’s work for yourself via this direct link and be sure to pick up the additional information made available about the background on both Adam and his work. Adam's "solo retrospective" was curated by the experienced White Lebed and hosted on sim generously donated by Kolor Fall. Q1. Tell us in 7 words what best describes you in your virtual Life, and would that be the same for your real life? Contentious question, since it is not clear that the metaverse exists.Certainly, there are several different proprietary multi-user virtual environments that do not communicate with each other. I first began working in realtime 3D virtual environments in 1996. At that time I was working with a performance art group called The Men Who Knew Too Much. We created what is now called a "mixed reality" show using VRML(virtual Reality Modeling Language) with an open source Java multi-user client. 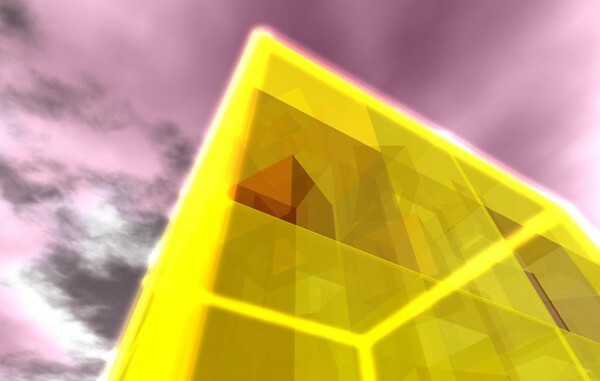 I have been working in various realtime 3D multi-user virtual environments since then. 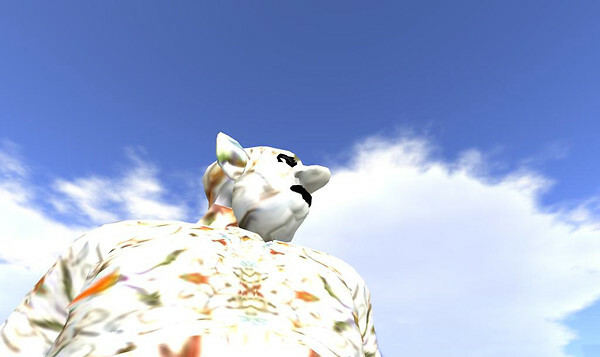 Second Life is useful because it has a large audience and therefore concepts can be developed over time and respond dynamically in a symbiotic feedback cycle between users and artists. Q3. How do you see the future of a virtual universe? What is your ideal in terms of say technical and social development? 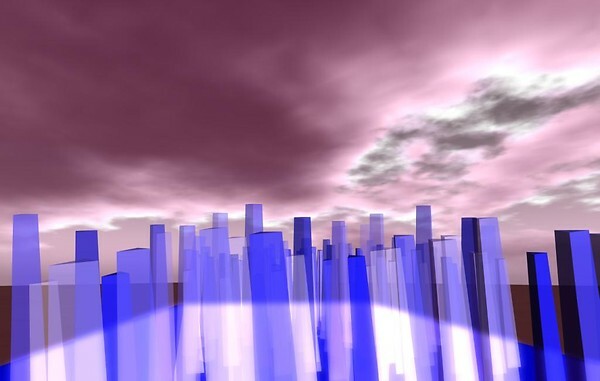 metaverse, along with the development of open solutions for existing, and future, problems that face the construction of an open, evolving,metaverse. Q4. If you could change anything to access the virtual world better what would you say or do? at the cost of all other considerations, and an undefined technical fear of digital sound. SL has some really crazy aspects to do with sound. For example it is incomprehensible to me why you would give auser UI access to the Doppler effect but not give a creator programatic access to something as basic as falloff. Q5. Have you spent any time in a virtual world other than Second Life? If not, why not? I have worked in many many virtual environments, including VRML/X3D, Pure Data GEM, Active Worlds, Blaxxun Contact, There, Second Life, PaperVision, Unreal, Neverwinter Nights, VastPark and Unity3D. Q6. Your first "solo retrospective" show is about to launch, whichsignifies a closing of a chapter for you - where do you see yourself headed next? critical dialogue around virtual art. Q7. Your work with interactive sound installations has been ground breaking - what do you consider was the impetus behind your creativity? Q8. Which of your sound installation have you enjoyed creating the most and why? All of them! Because they are awesome! Seriously, though, each work offers its own set of problems and contingencies that are absorbing to be immersed in as the creator. I love them all for all different reasons. Q9. When you dream at night, do you ever dream about your virtual life? Q10. 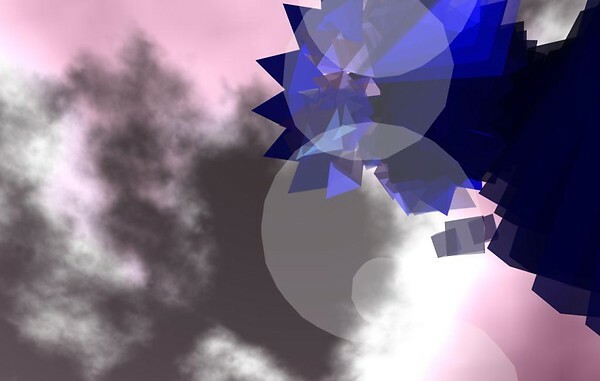 Does the prospect of creating in Second Life still give you a thrill? people consistently surrender that power to libertarian capitalists? Until next time on metanopsis! I also found a lot of time had passed without me noticing. Congratulations to Adam and to White. It is great to see some of those earlier works side by side with the later ones. And Poid - a sensitive lot of images and video which I enjoyed almost as much as the exhibition. Nice account, Poid. Thanks for your thoughts and all the wonderful news.